Czech-Jewish author Oskar Zinder wrote those words. He was among the Jewish masses who passed through the Lodz Ghetto, who were not originally residents of that area. He cried out on behalf of his brothers and sisters – who endured the horrible persecution experienced by Jews in all the ghettos – but were also subjected to the suspicion and accusations of Jews who were natives of the region. The Nazis frequently moved Jews from other countries into the ghettos. Their primary goal was to cleanse the Reich of Jews. Thus, tens of thousands of Jews were sent to the ghettos of Eastern Europe. They were separated from their families. They did not speak the language of the local Jews; and the ghetto residents thought that those who came from the West had more money or connections. But their fate was, in fact, worse – and worse tenfold in the Lodz Ghetto. 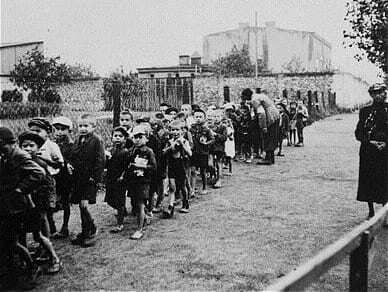 In late 1941, groups of thousands of Jews arrived in the Lodz Ghetto from Germany, Austria, and Czechoslovakia. Suspicion arose among the Jews in the ghetto that their new guests might be spies -or at least loyal to Hitler and the Reich, because they came from their fatherlands. But the real problem amidst these baseless suspicions was Judenrat Chairman Chaim Rumkowski’s thoughts on this issue. Rumkowski, one of the most controversial figures of that period, did everything in his power to save the ghetto from annihilation by encouraging work. But he also created his own personality cult and was hated by many of the ghetto’s residents. Another matter that disturbed the Judenrat leader’s rest was the amount of money held by the new Jews. Some Jews from the Reich – particularly those from Germany – were entitled to pensions and benefits, some of them derived from military service in World War I. The German Jews had – relatively – no lack of money, which they could exchange for food. Rumkowski’s iron-fisted rule of the ghetto’s economy aspired to feed all the ghetto’s residents and encourage them to work. The German Jews’ relative wealth frightened him tremendously. 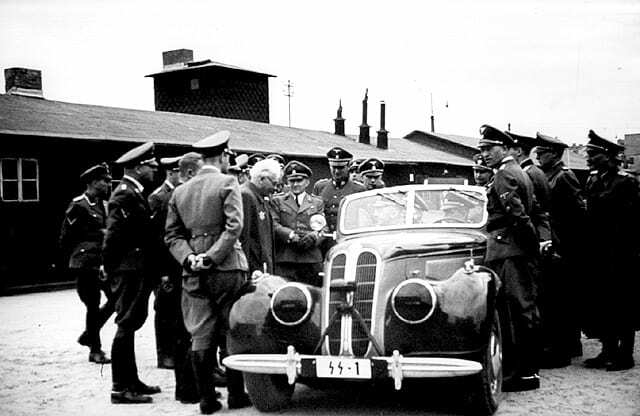 In his attempt to create economic equality in the ghetto, Rumkowski succeeded in persuading the Nazis to permit the ghetto’s Jews to receive checks from beyond the ghetto’s boundaries. In December 1941, those checks began flowing into the ghetto. But Rumkowski did not achieve his goal. 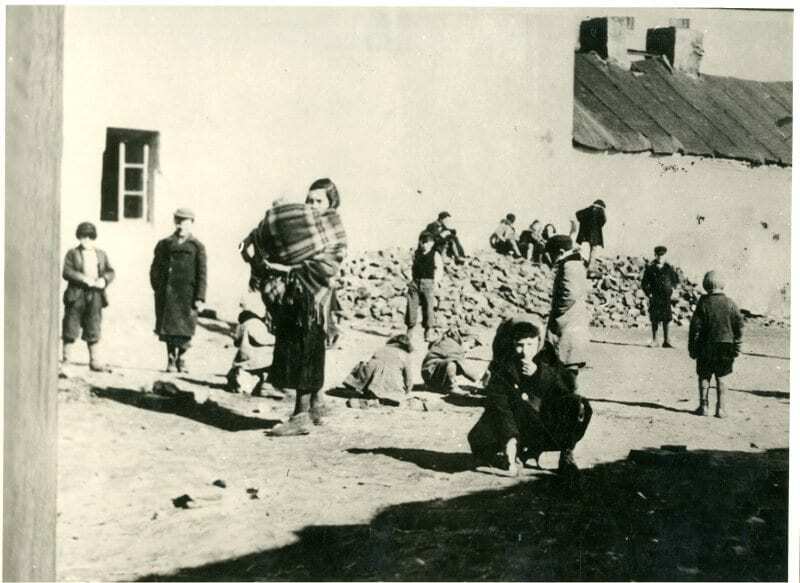 The Jews of Poland could barely seek the help of their remaining relatives beyond the ghetto, but the German Jews still had relatives in the Reich, who had not been sent to ghettos. The latter’s financial situation was still fair, and better than that of the Jews of Eastern Europe. 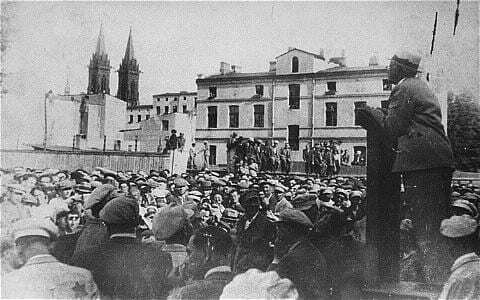 After three months, the Nazis banned the arrival of checks in the ghetto and this arrangement came to an end. But the internal antagonism toward the German Jews lingered. And it was painfully absurd that – because they desperately used their remaining money to buy food – they became the poorest population in the ghetto, with the highest level of malnutrition. They also had the highest suicide rate in the ghetto. The anger and suspicion on the part of the local Jews toward the Jews of the Reich grew in parallel with the latter Jews’ deterioration. In April 1942, the first major transport of Jews from the ghetto to the extermination camps took place. A total of 44,000 ghetto residents were sent for annihilation. The vast majority were not from the Reich’s territories. The ghetto’s local Jews believed that they had been right all along – that the German-speaking Jews were collaborators with the Nazis and privy to absolute protection from extermination. It became clear only one month later, in May 1942, how wrong they were. The Nazis dispatched another transport. This time, the tens of thousands aboard were all “their” German-speaking Jews from the West. Rumkowski gave his “Give Me Your Children” speech in September 1942, presenting the implausible demand that the children and the elderly be sent for extermination – in a naive attempt to save the remaining residents of the ghetto. No one noticed that 4,000 German Jews were also scheduled for transport to extermination, and no one fought to save them – the only remaining Jews of the Reich in Lodz. They were later sent with the entire ghetto for extermination, in 1944.